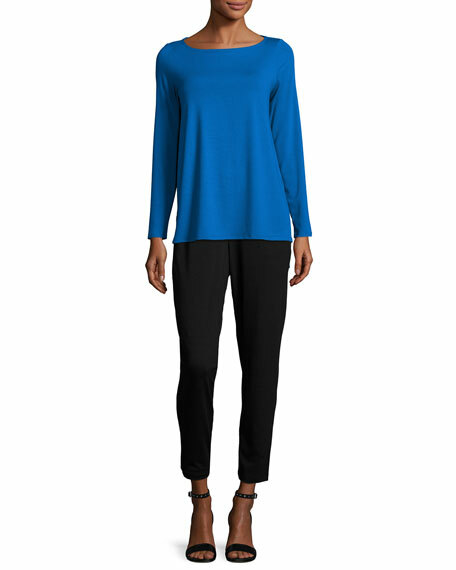 Eileen Fisher stretchy jersey pants. Approx. measurements: 11" rise, 27" inseam, 6" leg opening.